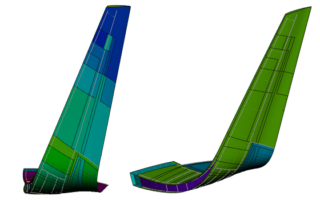 CAE Viewer allows you importing FEM and CFD results and to visualize them in a user-friendly and fast visualization environment. Result scale, color, deformation factors and visualization mode can be easily selected by the user. Multiple viewports can be used to simultaneously visualize different results. Within CAE Viewer you can operate on multiple viewports and multiple models at the same time. You can synchronize point of view, perspective and zoom or operate independently. CAE Viewer brings you seamless 3D CAE Visualization of mesh models from the most common FEM commercial software such as Nastran, Abaqus, Ansys, Radioss including sets, sections and material properties. CAE Viewer is a Free, Portable and StandAlone tool for 3D visualization of CAE models and results. It enables full 3D interactive visualization along with high performance rendering capabilities. Through an intuitive and user friendly interface, CAE Viewer helps you to visualize and share results from FEM and CFD solvers at no extra costs. 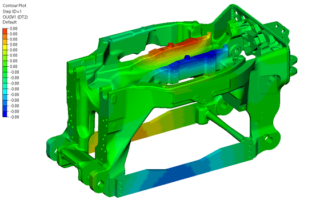 CAE Viewer is powered by the Shaper™ rendering engine. CAE Viewer is available on Windows 64-bit architectures and can be downloaded and redistributed for free(*). CAE Viewer is distributed on an as is basis. Despite we encourage and value your feedback, no support and maintenance are provided. Would you need specific enhancements, user or IT support to use CAE Viewer, please contact our support team today. We will be happy to provide you more specific information about our maintenance plans.